A funny thing happened last week as Sony announced the NGP. Twitter’s trending topics list not only was coming alive with news of the new hardware, but notes about the name. 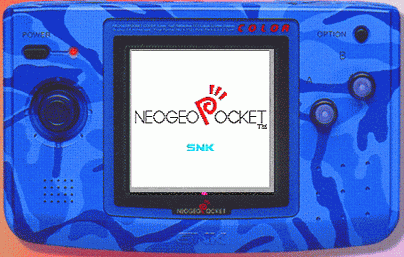 Retro gamers latched onto the acronym and noted what it will always stand for in our eyes: Neo Geo Pocket. It’s not a joke, but respect for what is one of the most underrated handhelds to ever hit the market. Like its parent hardware, the mixture of AES home units and MVS arcade cabs, the Pocket housed an extraordinary number of fighting titles, yet still provided variety. Last Blade’s slower pacing was doubled by the energetic Gals Fighters, both of those easily vying for the crown of best 8-bit fighter ever made (tangling with Match the Millenium, another staggeringly superb downsizing of an epic fighter). Despite the hardware only allowing tri-colored sprites (designs working around the limitation with black and white details), the hardware produced some innovative efforts as well. Not only were there 8-bit ports of classic Geo arcade titles like Neo Turf Masters, original efforts like Card Fighters sucked hours of play with an ingeniously simple yet strategy filled RPG adventure. It’s one of the few consoles ever released with a small library in which every game released for it was quality (at least in the States). There’s even a fantastic Sonic the Hedgehog game, born from a partnership with Sega that let the Pocket link with the Dreamcast in one of the more obscure pairings in this industry’s history. The Pocket gained a second life when Gamestop began stocking the console after market death, distributed as a generic handheld with a bunch of great titles, sans boxes. That didn’t bring it back to life, giving it more of a last gasp, but it was nice to see the largest retailer giving it some attention even if was too late.